Recently purchases an AI with an older sail. Already ordered a replacement, but I would like to keep the current one as a backup for when I expand my fleet (3 kayaks strong already!). 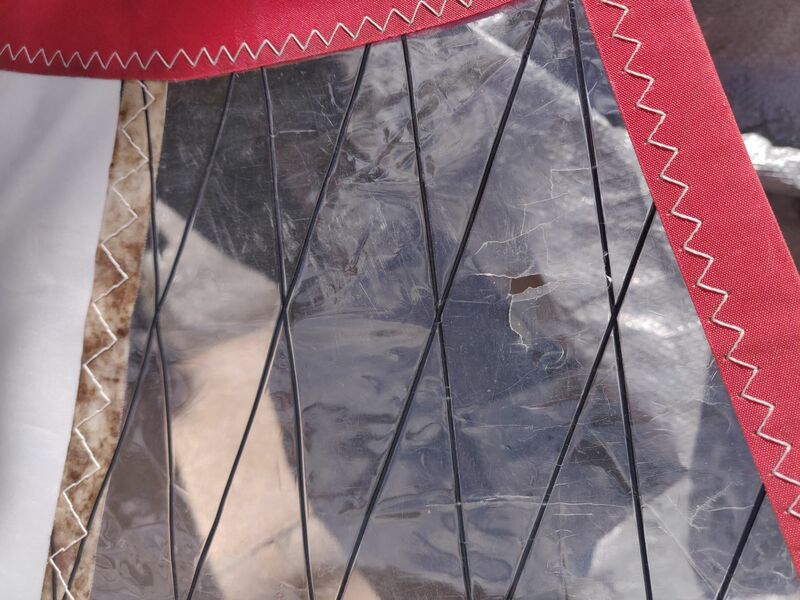 The sail itself still maintains a lot of the stiffness in the material, however it has a few holes in the mylar window and one small tear near the head of the sail off to the side of the largest baton. See pictures below. I have purchased some Life Safe Awning repair tape to repair all of the holes/tears. 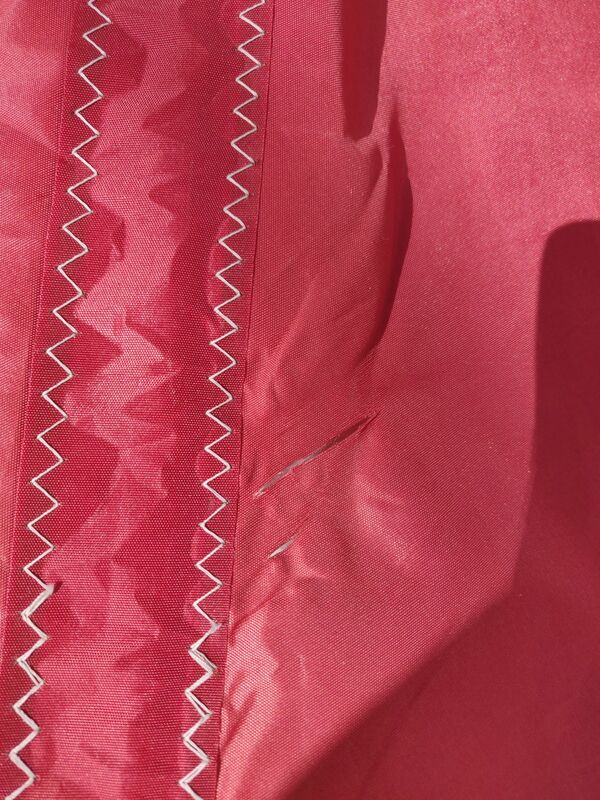 I understand that the best option for repairing the sail portion is to get the patch kit, however I would like to test the awning repair tape and see how long it holds! Below are images of the results. The sail portion did not turn out as well as I hoped due to the fact that the sail is warped. I'll update this post once I have take the kayak out several times. Please let me know your thoughts and questions! Believe it or not, but I have found that Gorilla Tape (clear) is as good a repair tape as you can find for clear mylar sail repairs. For the rest of the sail, you can use self-adhesive insignia cloth to get you buy for quite a while. Really all depends on the size of the area you need to repair. Thanks for the tip! My first trip out with it is tomorrow, if any of my repairs fail I'll take your suggestions into consideration. Looking at your post got me thinking. Plastics often become brittle with time/uv/etc. Could you put some more life into them with something like a protectant spray designed for car dashboards? That is an interesting thought, I wonder if any sort of coating would affect the performance of the sails. I imagine anything would cause additional unwanted drag/windage on the sails themselves. Also, I am not sure how temperamental mylar is. Definitely merits more research.